If you are a lover of Thai cuisine and yet, at the same time wished that the restaurants here would serve more variety than just the customary Pad Thai’s and Tom Yum’s, then Mango Tree Bistro at Epicentrum Mall is definitely one place that you should seek. For Appetisers alone including the salads, you get to choose from an array of almost 30 items and from their grill selection (which can be counted as a starter as well), you get to choose from delicious Lemongrass Chicken and our favourite the Beef Neck. 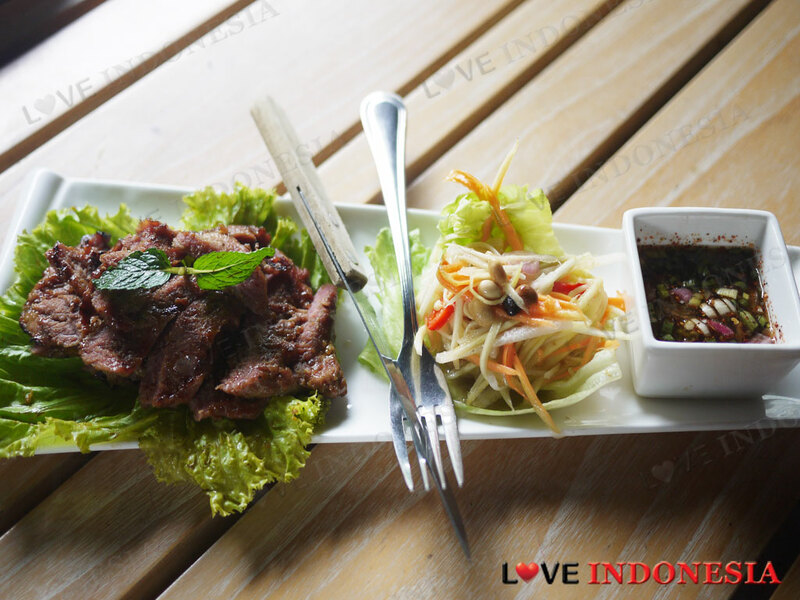 If cooked the wrong way, this part of the beef could be very tough, but at Mango Tree they are tender and the sweet marinated beef neck comes with a fish sauce dip and their very refreshing and tangy mango salad. The added bonus is that for most of the main dishes you order, they will most likely to be accompanied by this lovely mango salad. There are also some colourful selections of curries from usual spicy Thai versions to the milder Penang curries. But we reckon that the star dish at Mango Bistro is definitely the Deep Fried Sea Bass with Mango Salad. 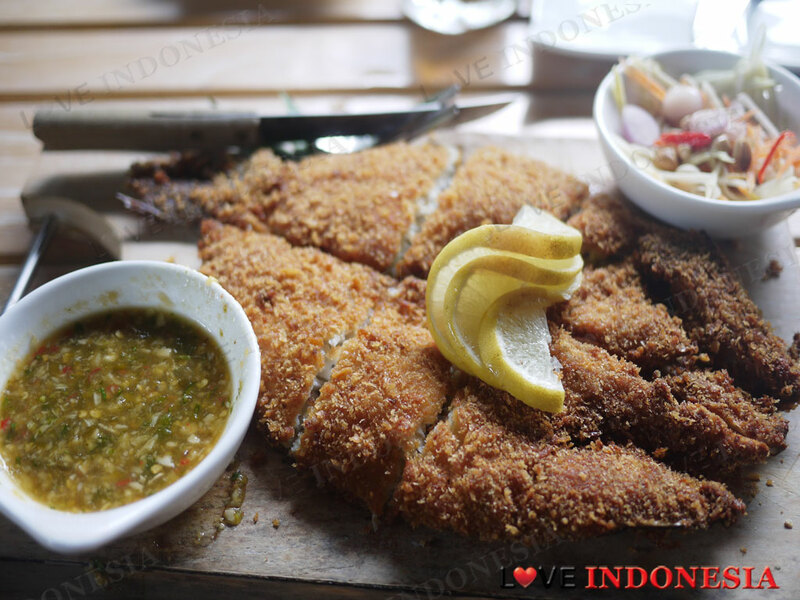 The evenly breaded whole sea bass is deep fried lightly and crunchy while the freshness ensures the fish is moist and fluffy in the inside. It is heavenly with their savoury dip sauce and of course with their signature tangy mango salad. Mango Tree has a very spacious and cosy outdoor seating area where you can enjoy their lovely signature cocktails in the afternoon and is quite suitable for business settings or a more intimate affair. 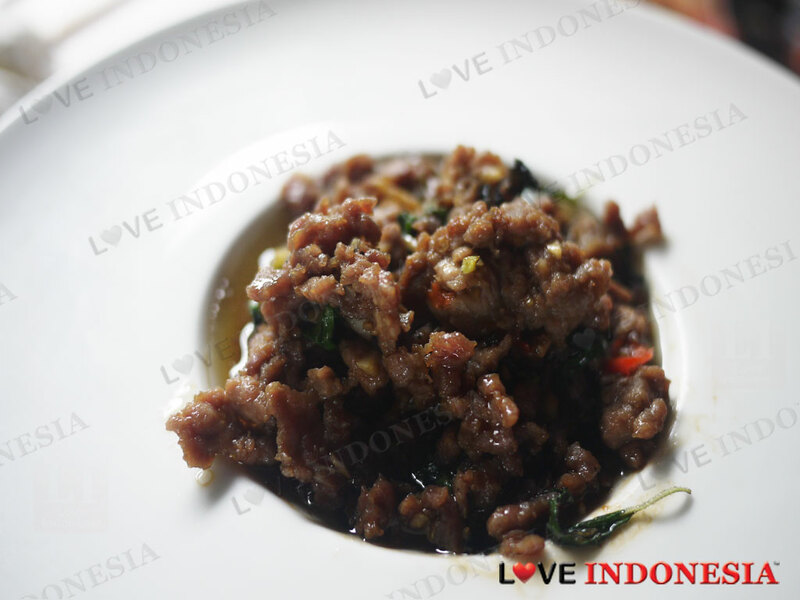 The great news for Kuningan residents is that they do delivery. What is near "Mango Tree Bistro"?